The Welcome stranger is the biggest gold nugget ever found in Australia. It was discovered by John Season and Richard Oates on the 5 February 1869 in Moliagul, Victoria. The nugget weighed 72 kg when it was found and it was quickly sold to the London Chartered Bank of Australia. It was cut up and melted within a few days and sent to the Bank of England. A replica of the nugget can be found at City Museum in Melbourne. A group of 22 Cornish miners who had just arrived at the Red Hill Mining company site in Ballarat to mine in 1858 made the biggest discovery they could have imagined. They discovered a 69.982kg horse-head shaped gold nugget. The gold nugget was sold for £10,500 and shipped to England. Unfortunately a year later the nugget was cut up and melted down to mint gold sovereigns in 1859. There are replicas that exist at various Australian museums, there’s even one that can be seen at the Harvard Museum of Natural History in Cambridge, USA. The “Hand of Faith” is a 27.66 kg gold nugget known for being the largest gold nugget found using a metal detector. The gold nugget was found on the 26 September, 1980 in the Kingower area in Victoria by a local, Kevin Hellier. The gold nugget was sold to the Golden Nugget Casino in Las Vegas, USA where is still on display in its the Casino lobby. The Poseidon gold nugget was not named after the Greek god of the sea but a racehorse. The nugget was discovered on the 18 December 1906 when the racehorse named Poseidon won the 1906 Melbourne Cup. The gold nugget weighing 29.6kg was found in Tarnagulla, Victoria. The “Normandy Nugget” is a 25.5 kg gold nugget that was found in 1995 in Kalgoorlie, Western Australia. Kalgoorlie is one of the most important gold sites in Australia and is home to the ” Super-pit”, one of the largest open cast mines in the country try. The Normandy nugget was bought by the Normandy Mining Company in 2000 hence the name. According to assay analysis, the Normandy has a gold purity of 80-90% but it has not been cut up like some of the big gold finds in history. It is currently owned by the Newmont Mining Corporation but is on loan to the Perth Mint who have it on display for the public. The gold rush might be over, but a lot of gold can still be found in Australia and people still sell gold nuggets Brisbane regularly. 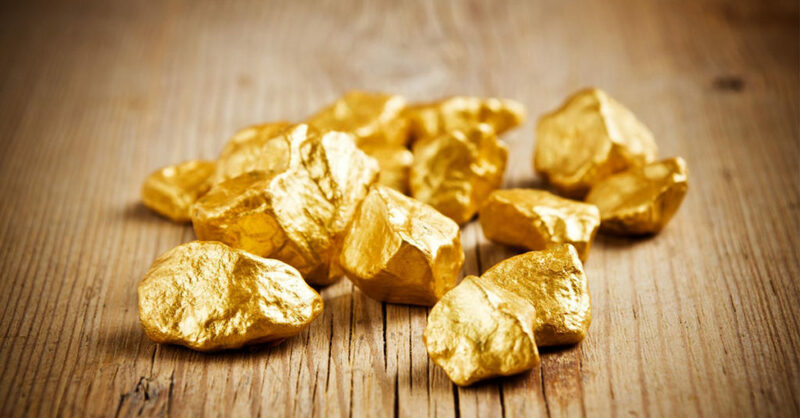 There have been some significant finds in recent times but these five golden nuggets are ranked with some of the world’s best finds.